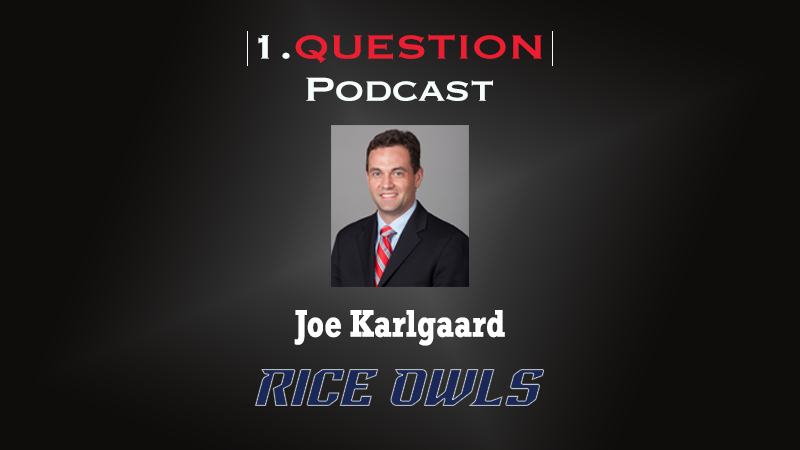 Joe Karlgaard, Director of Athletics at Rice, visits the 1.Question Podcast on the topic of engaging influential stakeholders. Karlgaard emphasizes the importance of including influential individuals in the process of making major decisions as a leader. He mentions the president as “the” stakeholder based on the inherent nature of influence the position has on a campus. Karlgaard also acknowledges that making decisions in a vacuum may not be the best idea when seeking longevity in leadership.